We are indeed privileged to own this extremely rare motor car. She is the only known surviving example in Europe. 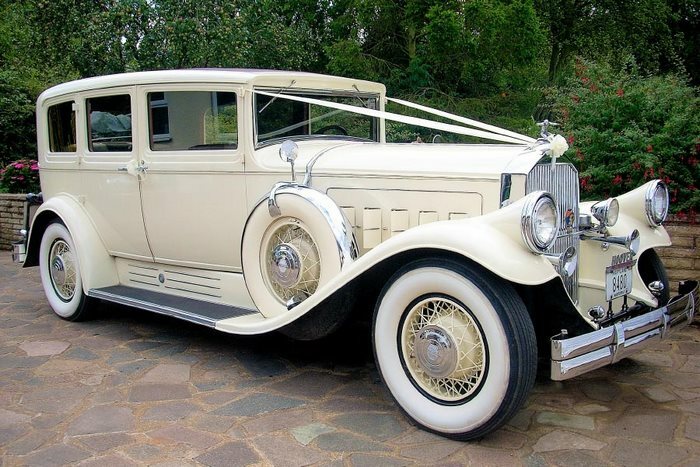 Our car was originally owned by the Pierce-Arrow Motor Co. themselves and was one of three Pierces displayed on the company stand at the 1930 Chicago World Trade Fair. Subsequently gifted to a member of the board of Pierce, the car was used by U.S. President Herbert Hoover during his election campaign in Boston in 1932, she still carries her official campaign crest. A capacious six passenger limousine, she is finished in Old English White with chromium-plated side mounted spare wheel carriers. 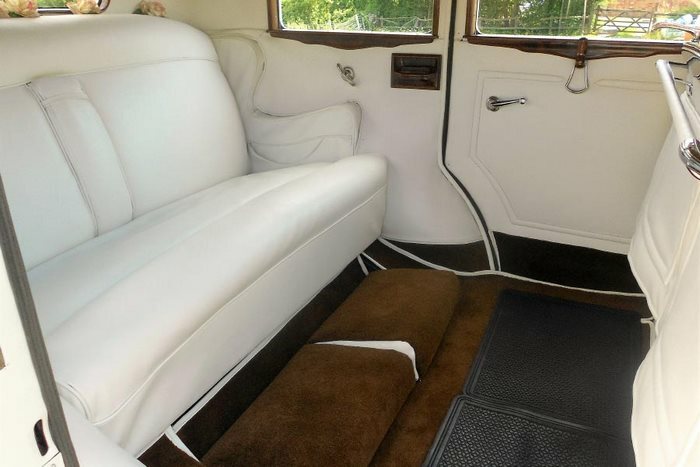 Complete with her opulent broadcloth interior she is a truly grand wedding car.